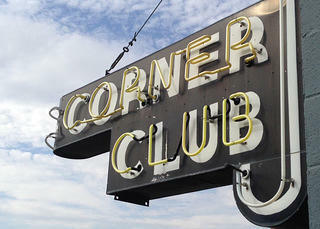 The Corner Club in Moscow, Idaho is the first-ever champion of The Big Tap: Historic Bars Tournament. Last call is over and it’s finally closing time for The Big Tap: Historic Bars Tournament 2015, but there’s one drinkery still dancing victoriously atop the bar. The Corner Club polishes off Holler House in a screamer and reigns supreme as America’s favorite historic bar for 2015! The pride of Moscow Idaho, and second home to University of Idaho fans, this 66-year-old sports bar wasn’t the biggest name, or the most historic suds shop on the list. But, round after round, the Corner Club smoothly steered its way past the Owl Bar, Monkey Bar, Backroom Bar, Mint Bar, and finally the Holler House to write a little more history of its own. Congratulations to the Corner Club; our runner-up, Holler House; all of our worthy participants; and everyone who voted for a fun and successful first-ever Historic Bars Tournament! Disappointed your precious pub or special saloon ran out of fizz? Or just thirsty for more? Well, we have news that will help you find your second wind. The PreservationNation blog’s Historic Bars Series continues! So sleep this one off, maybe change your shirt, and look forward to our next Historic Bars post.